The Real Life Abilities Evaluation (REAL) is a comprehensive evaluation of an individual’s cognitive capacities. The REAL answers questions about how well a person will perform everyday tasks within their home, workplace, school and/or the community. What is Involved in a REAL Evaluation? 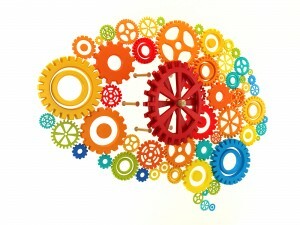 The REAL is unique in that it combines clinic-based formal standardized testing of cognitive skills, with “real-life” observational and functional assessments of the individual within their own familiar home, work and community environments. The REAL can be completed over 1 or 3 days of assessment. What is the REAL Measuring? The REAL evaluates cognitive skills such as attention, visual processing, information processing, memory, awareness and executive function. The REAL also evaluates insight/awareness and the ability of the person to effectively utilize compensatory strategies to improve their function. The functional component of the REAL evaluation provides valuable insight into how the individual manages distractions, interactions, problems, etc. that arise in the “real” world. What are the Benefits of the REAL? The REAL can answer specific questions the rehabilitation team has, such as “Can this person return to their previous job?”; “Can this person safely access their community?”; “Could this person return to school?”, etc. The REAL is unique to JR Rehabilitation Services Inc.